Kevin Durant will be a Sonic, or, if Kevin Pritchard has a heart attack next week and he’s relieved by a demon from 1984, Greg Oden will be a Sonic. Either way, we can all agree we’re as pleased as punch. You know the old saying about Finnish point guards? You do? Well, can you email it to me, because I don't have the faintest idea about what the heck is going on over there. If the Sonics draft Koponen, do they give out Finlandia Vodka every time he gets 10 assists? Will this induce Ballard to declare war on the Sonics in historic respect for the Norway-Finland rivalry? It's all so hard to say. Say this, though: Koponen is no Euro, he’s the real deal, at least in what limited exposure to North America he’s had. At 19, he’s still quite young and it’s possible he wouldn’t come to the States for another year or two, which would be great for the Sonics. He’s tough, a good outside shooter, handles the ball well, looks to create shots for others before himself, runs the pick and roll very well, and plays beyond his years. I haven’t read much about his defense, which scares me a bit since that’s the area the Sonics need help the most from a potential PG, and his slim frame is a cause for concern as well. I would have no problem with the Sonics going for Koponen and letting him develop overseas for a year. Everyone knows Taurean from his play for the Gators. Since he led two teams to national titles, he’s got plenty of confidence. Then again, Chris Wilcox won a national title at Maryland, and he ain't exactly bursting with NBA playoff success. But his lack of size and defense worries me: Is he just another Luke Ridnour? If the Sonics were to draft Green, I’d be very concerned that they’d two guys in Frodo and Green that aren’t capable of defending tougher NBA point guards, something that caused trouble at times last year. I can see Green being a strong backup in the NBA, but not for Seattle. The big question is: Is Taurean Green the H Waldman of 2007? If the Sonics draft Jared Dudley, then the past two months have been a mirage and Rick Sund is still running the team because they need another SF like Paris Hilton needs more press exposure. That’s too bad, though, as Dudley is a tough player who can rebound, works hard, hits his free throws, and does all the other things you need for a winning team. 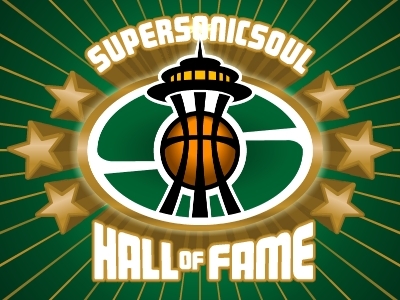 Unfortunately, the Sonics already have Gelabale, Wilkins, Durant, and Lewis. I don’t know about Davis. Part of me wants to think he could be effective in the league, that he won’t gain 60 pounds and become Danny Fortson redux, that he’ll parlay his unique athletic ability to score in the paint often. But another part of me thinks: Wait, his two biggest causes for success are his ample backside and the fact he played against 7' centers about as often as he said "no, thanks, I'm full" in college? He’s taken off the weight ("dropping" to around 280 or so if I remember correctly), but he’s still only 6’8”. How he fits into the Sonics’ plans is another difficult question to answer, as Collison and Wilcox already gobble up the PF minutes. If he’s available at the 2nd pick, he wouldn’t be a terrible selection. Now this is what the doctor ordered ... almost. Almond can score, gets to the line like a young Adrian Dantley, and is built to be an NBA 2 guard. He’s 6’6” and strong, and would make an ideal fit for Ray Allen’s caddy for the next couple of years ... except that his defense is the weakest part of his game, and he’s not going to learn how to do it from Sugar Ray. They say you can teach defense, and that shooting is like a gift, but why hasn’t anyone ever taught Allen how to be a tougher defender? I think it’s a mindset, and if Almond doesn’t have it yet, he’s probably not going to get it in the NBA. That said, Almond would be a decent fit off the bench for the Sonics if he’s still available. I'll have more during next week as we get closer to the big day. Unless Pritchard is throwing up a major smoke screen, it sounds like Oden isn't such a sure thing now. In fact, Pritchard said today that Durant's workout was "as impressive as any workout I've seen in here". It sounds like Durant clearly outshined Oden. Gulp. Portland might actually take Durant after all. At first I was sad that we were going to miss out on Oden by not getting the #1 pick, but I've fallen hard for Durant's game in the last month. I know we can't lose sitting at #2, but I'm suddenly getting visions of Durant as a cross between MJ and KG! Once again great job on the website. I'd also like to say that I enjoy your insight on a regular basis. Here are my thoughts on the Super Sonics and 2nd round. I'll start 5 players you threw out there. I believe that all 5 will be gone by time the Sonics pick, with the possible lone exception of Green. That said, if Green is available I'd like to see the sonics pass on him with the 31st and try to land him at 35th. Here are five other guys who might be gone or might be available in the 2nd Round for the Sonics and I'll give a brief reason on why they'd be a good fit. 1) Sean Williams - PF/SF (like gone by 31st pick) - He bring a load of baggage with him other wise he'd be a back end of the lottery pick. However, he's got Kemp like athleticism and has the frame to add weight. He was already a strong defender in college and clear excels in finishing at the basket. No much of a shooter. A great value if you can land him in the 2nd. 2) D.J. Stawberry -PG/SG - He will definitely be around at 35th pick. And is the Millsap, Boozer, Van Excel, Snow type player that everyone will wonder why fell into the 2nd round after a solid college career. I believe he'll end up just like Snow a 2 guard turned defensive point guard who's great as you 2nd PG. Think about this if you can move Watson, Strawberry become your Daniels to play 4th quarter defense for Luke. 3) Trey Johnson SG - His guy is like Stuckey, in that the only doubts are basis off of perception that he did it against a no body conference. However, this guy is killer. He had some of his biggest games against Alabama, Georgia Tech, Memphis and Florida (in the 1st Rd of the tournament). The guy can score on anyone. He's perfect for 9 or 10 spot in the rotation, a guy that can light it up and give your second unit a lift. Plus, the dude will already plays with a chip on his shoulder and going in the 2nd will further fuel his fire. 4) Dominic McGuire - SF - The guy is raw, but if he's available at 35th pick he might be worth stashing in the D-League for a season or two. Like Williams mentioned above he's very athletic. He's already a solid rebounder and shot blocker. If he has some time to develop in the D-League he could be a solid end of the rotation player. And if I remember right the Sonics have brought him in for 2 work outs already. 5) Arron Afflalo - SG - There is next to no chance he'll be available, but if he fails to 31st, then the Sonics better not let him fail any further. The guy can flat out play. I've seen him play in person twice and when he's on he can take over a game offensively, however, when he's off he just disappears (like Rashard). I think he'll be a solid player and if he fails, he'll have the Arenas like fire to burn the 29 other teams that passed on him. I welcome all comments. Go Sonics!!! There's been a lot of talk about Afflalo on this site, and I'm starting to think he might make the most sense for th eSonics - if he's still available. I also don't think that Almond will be around when the Sonics pick. 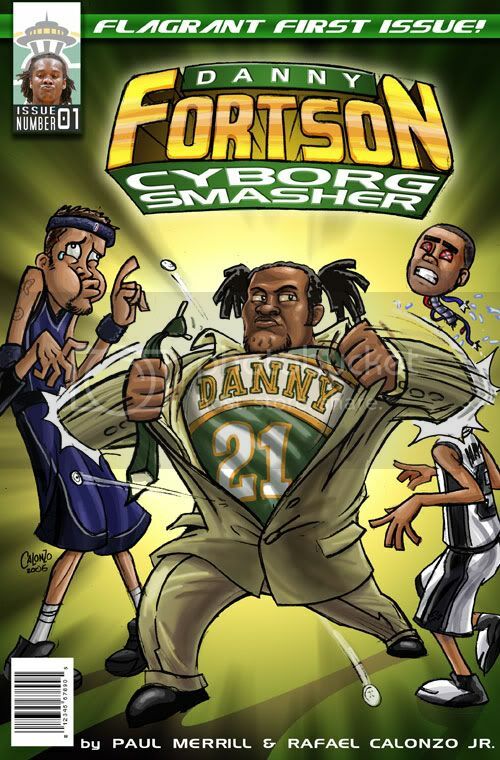 You know what's sad about the Durant and Oden saga? I think both want to play for Portland. Seattle should not be a less desirable city to these men than Portland, but yet it is. And you know, I kind of like Portland better, too. I'm telling you, that's sad. Maybe they just don't want to eventually move to Oklahoma City. Who would? Screw you, Howard Schulz, if you'd held on to your team for an extra year you could be looking at the bigest windfall the NBA has seen since the Spurs drafted Tim Duncan. But no, you had to get rid of the team so toot sweet that you couldn't wait to find a local buyer because you couldn't bear to lose a few million -- this even though you're worth kajillions. (Or was it gazillions?) Jerk. Bitter, are we, Eric? I hadn't thought about Schultz in regard to the Durant situation, but you are absolutely right. Whatever amount of money Schultz (his partnership, actually) would have lost during the 06-07 season, they would have made up for it easily this coming season, not to mention the increased valuation of the franchise. From how I understand it, the IRS only allows for you to claim deductions from losses for five years before it takes that loophole away, which is why Schulz had to sell - his partners were tired of him calling them up to ask for more money and the Sonics were of no use to them if they couldn't write the team's losses off against their regular business' profits. Like John Lennon said, instant karma's gonna get you, Howard. Sure I'm bitter. I understand it's a business, but Schulz is the one who came in promising more and promising what a fan he was and how much he loved the team. What sincere Sonics fan would sell the team to a guy who wants to rip it out of the city? It's the worst thing he could have done. It's maddening. I dislike Schulz more than Clay Bennett because he's phonier. I avoid Starbucks at every turn just out of spite. Well, spite and the fact the coffee's only decent if your choices are that and a gas station. Love Almond, but cant see any way he falls to the 2nd round...I think he might go higher than some of the predictions have shown. You might check out Gabe Pruitt from USC as a possibility, and there are rumors Sessions from Nevada might have a promise at the top of the 2nd as well. My prediction is a PG like Pruitt who can defend, and the standard Seattle big man reach with #35 ...ummm....lets say Fesenko or Gray, whichever is available. IF Afflalo does drop that far, I'd say they'd have to look at him even if he doesnt fit a need...but I have to believe that San Antonio snags him if he drops to the end of the first. PS-Just pray Aaron Brooks doesnt get drafted as a fan relations/ticket selling move. The return of Griffey was a return of emotions of numerous fans, I too was one of those fans but I couldn’t help but draw parallels with the past of the mariners and the future of the Sonics. I’m taking a huge risk here, but, Ken Griffey for the Mariners as Kevin Durant will be for the Sonics. If fans in the area can rally around enough support for the Sonics to stay for the duration of the lease, that will be enough time to gather the magic the Seattle area needs to keep this team. At the Mariner’s game last night everyone in the stands experienced something special, something that you found in those 95 Mariners, in the current Seahawks, and in the 96 Sonics. That is what Kevin Durant could do here, the basketball Gods have granted us a big favor. Word was that Clayton Bennett was at the game last night. He saw the support that the Mariners have had. And he saw money, lots of it. Hopefully this can suede him over a little more. One can only hope that something magical will happen and the Sonics will stay in Seattle, maybe someone who can afford them steps up, and takes a financial hit for the fans, or maybe Clayton Bennett feels for the fans of Seattle and writes a personal check for the King County Events Center. Or maybe the Sonics start winning, most unlikely. Or maybe like Ken Griffey a superstar is born. This sounds scary, but, in 10 years what if we passed by Downtown Renton, and pointed out the arena and said “that’s the house that Kevin built”. Oden and Durant both want to be in Portland not because of the city, but because of the prestige that comes with being the #1 pick. Those guys are competitors on such a high level, that although all the fans/media/everyone else sees this draft as a 1a and 1b for the first two picks, the truth is that one of them is going to be 'the first loser'. Neither of them want that, and I don't mind a little grandstanding to the media to try to achieve their goals. Which scenario (GO or KD) is more condusive to keeping Ridnour around as the starting PG? LR's main strength is ball-handling, and passing (sometimes) and shooting (sporadic at best) are next. Defense just can't be mentioned if you're listing strengths. Would the Sonics go uptempo with KD and need a drive/kick PG? Would Oden's defense in the paint allow some less than average defense at the perimeter? Am I just making the excuses that a GM or coach would make if they couldn't upgrade the PG position? No more Euro players please..I don't care what they accomplished in some obscure league in some tiny European country that ends in "-via"..They hardly ever pan out for us, verdict on Mr. Frenchy Gelebale is still out..think back to all the "can't miss" Euro prospects that came through the NBA only to become "Mr. Can't pronounce your name sitting on the bench"..
1. Petteri Koponen - I can't really comment on him, because I haven't seen him play. But he has decent size, and I have heard comparisons to Kirk Hinrich. If he can play overseas for a year or two, come in at 20-21, and start after a year or two? That would be a huge steal. 2. Taurean Green - I really don't like Green's game. He will definitely be available when we pick, but I don't want him in a Sonics uniform. 3. Jared Dudley - I do like Dudley, but unless we get rid of two SFs on the roster, he really doesn't fit. 4. Glen Davis - I think Glen Davis is a boom/bust guy. I think he could very easily be a complete miss, but there is a chance that he could be a decent guy off the bench. 5. Morris Almond - I really like Almond. I like his game and his size, and how good he was in his last two seasons at Rice. 1. Marcus Williams - GF - Arizona - He has the ability to play PG, SG, and SF, and he has the wingspan of a center. He is a local kid, which I like. 2. Gabe Pruitt - PG - USC - If we trade Watson, I think he could eventually be molded into a starter. He has decent size and is a superb athlete. When was the last time the Sonics had a guy this athletic at PG? 3. Aaron Gray - C - Pittsburgh - I really like guys who have experience and play in tough conferences. Gray has both. He is big, strong, and skills for both ends of the court. 4. Aaron Brooks - PG - Oregon - I know defense at the PG position has hurt us for years, but I really like Brooks. I think he has the potential to be a great 6th man as the Earl Boykins/Bobby Jackson type.